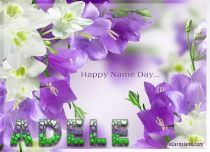 Name Day is celebrated primarily in the Catholic and Orthodox parts of Europe, namely in countries such as Poland, Germany, France, Bulgaria, Croatia, Greece, Sweden, Finland, Czech Republic, Slovakia, Hungary, Latvia, and Russia. 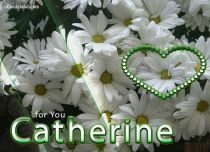 Generally speaking it is a solemn celebration of the day, to which the name derived from the Christian or Orthodox calendar is attributed. 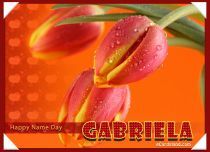 Most often on this day we give presents to the person and send best name day wishes. 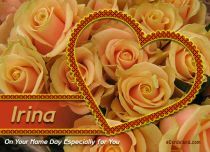 To make sending Name Day wishes easier for you, we prepared plenty of free e-cards, which you will be able to send to the person celebrating their Name Day. 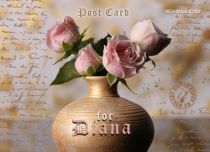 You can send ecards on eCardsland as a Guest or sign up for a free User Account. 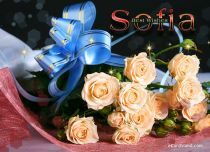 We recommend the second option, because thanks to this you will receive a free access to additional tools and e-cards will be even more beautiful. 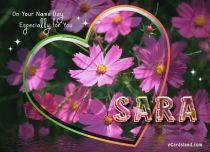 Here you will find free e-cards that can be sent to each person, regardless of gender, but on eCardsland you will find two more categories with Women Name Day eCards, i.e. 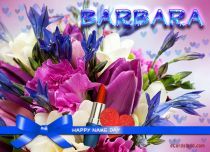 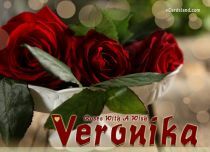 Browse all Women Name Day e-Cards and you will definitely find something for a person celebrating their Name Day. 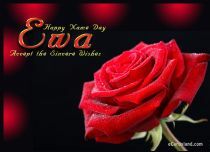 You can freely customise ecards, add wishes, messages, poems, quotes; you can also send musical Women Name Day eCards. 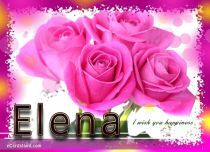 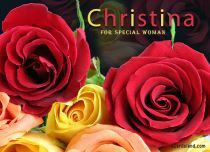 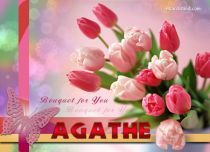 We invite you to try it – choose and send free Women Name Day eCards. 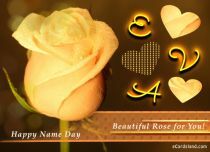 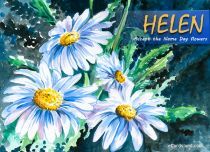 You are now in the category where you will find free Name Day eCards for women. 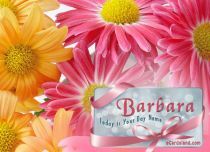 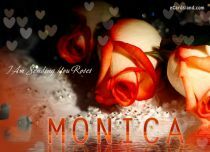 Here you will find e-cards for individual male names, so browse through all ecards and perhaps you will find the ecard with the name you need. 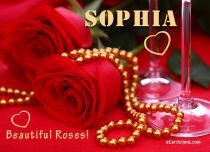 We cannot prepare ecards for all female names, but we will try to prepare ecards for the most popular names so you can choose appropriate ecard for your friends. 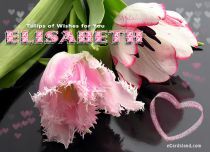 Once in a while new ecards will appear here, so come back and take a look from time to time. 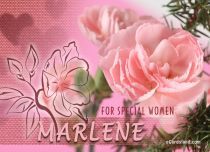 Send Women Name Day eCards to your friends and family.